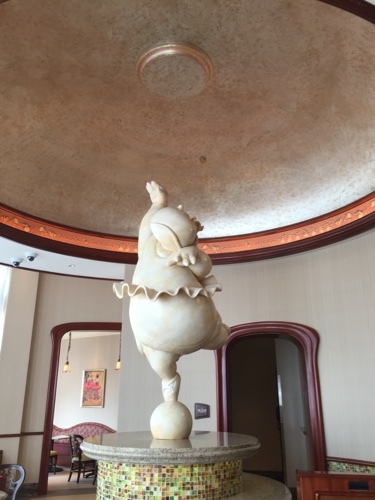 Here is an interesting and obscure piece of trivia I found while poking around the incredible Shanghai Disneyland Hotel recently. 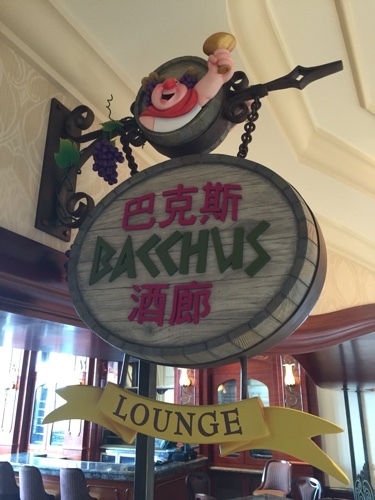 Just off the main lobby is a small bar known as the Bacchus Lounge, which is named after the character in the original “Fantasia” film. This is a clever idea to create a bar that centers around the Roman God of Wine. The bar is a cozy, yet elegant retreat from the hustle and bustle of the park. 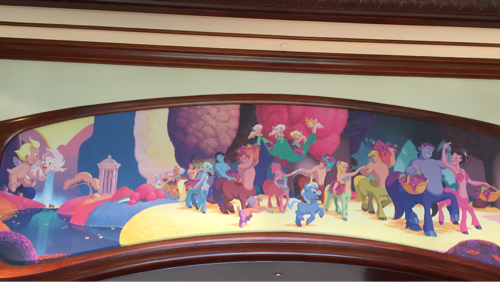 Once inside the lounge, if you do an about face and look towards the hallway, you will see this mural. At first glance, it’s just a clever nod to many of the characters from The Pastoral Symphony section of the film. However, sharp-eyed Disneyland history buffs will notice a throwback to a mural that once was displayed in the park. 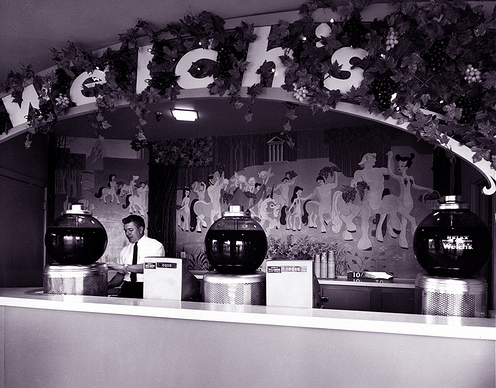 Dating all the way back to 1955, the Welch’s Grape Juice Stand in Fantasyland was a staple in the park. Guests could purchase a cup of the good stuff shaped like a bunch of grapes! 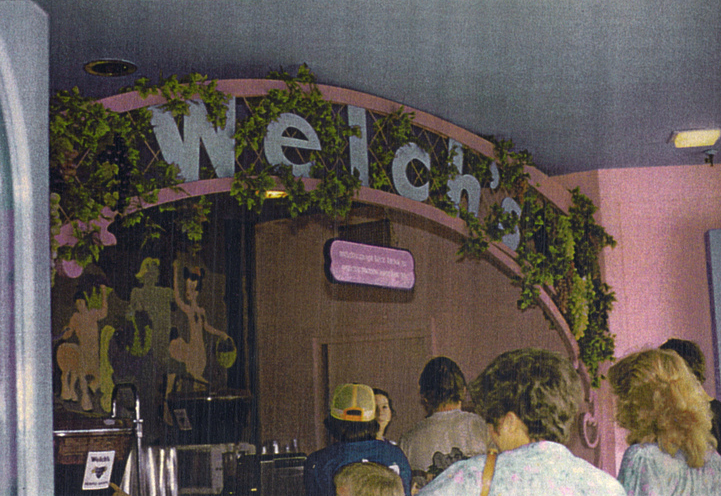 The Welch’s Grape Juice Stand stayed open until the 1983 rehab of new Fantasyland, when it finally closed its doors. 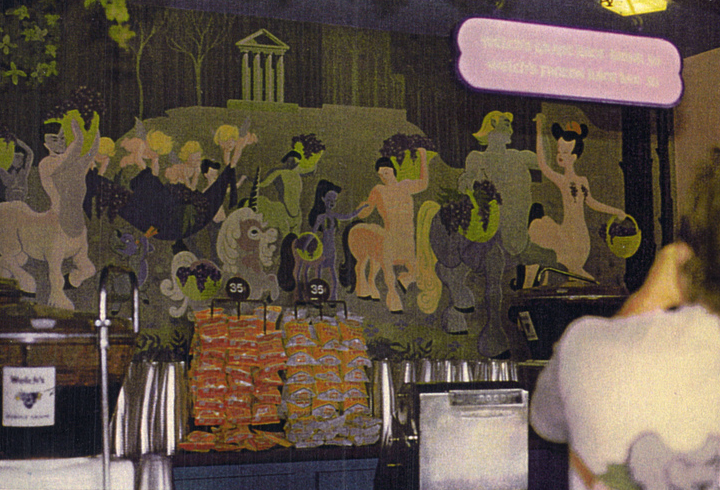 However, let’s take a closer look at the mural behind the counter. You’ll notice characters lined up to get a taste of grapes. Yet again, a perfect tie-in with “Fantasia.” And seriously, who wouldn’t love to pay 35 cents for chips these days? 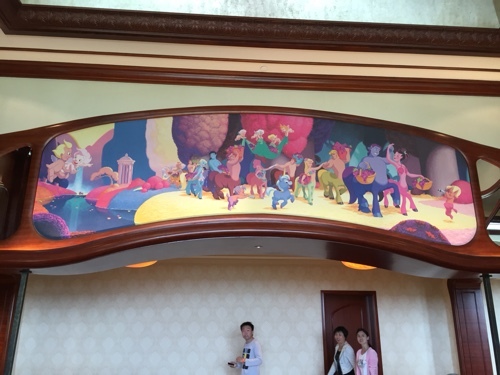 Now let’s take a closer look at the mural in the Shanghai Disneyland Hotel. The mural has been completely redrawn and looks far more modern and gorgeous. However, the similarities between the two are obvious and it’s clear they were intentionally trying to recreate this long lost piece of Disneyland history! 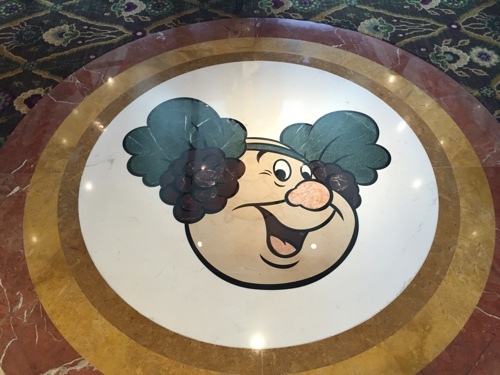 This entry was posted in Disney and tagged Disneyland, Fantasia, Fantasyland, Shanghai Disneyland, Shanghai Disneyland Hotel, Welch's Grape Juice. Bookmark the permalink. Trackbacks are closed, but you can post a comment.